I have over 20 years of experience in a variety of areas of physiotherapy practice, both in hospitals and private practice. Originally from Saskatoon, I graduated from the University of Saskatchewan in 1989, and received my certificate in Medical Acupuncture from the University of Alberta in 1993. When I moved to Ontario in 2005 I joined the York Rehab team. I have post-graduate manual therapy and McKenzie training, and have completed the FitForeGolf program training in prevention, diagnosis and treatment of golf-specific injuries. An avid golfer myself, I have a keen interest in golf injury prevention and treatment. I am also very interested in general fitness training and sports injuries; when not on the golf course you will find me in the gym! 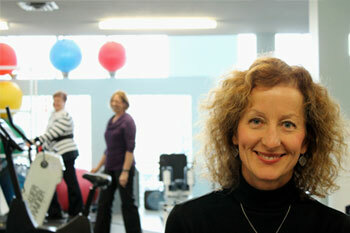 York Rehab is a multidisciplinary centre for physical rehabilitation. We assess and treat a wide range of painful and disabling conditions - from minor aches and pains to serious multi-trauma motor vehicle accidents and post-surgical rehab. Why 20 Years of Business? We offer short wait times. Well trained & experienced staff. Ethical billing - not coverage focused. 1-on-1 patient to therapist ratio. We offer Acupunture, Shock-wave, McKenzie Method and Laser therapy.